Madras chicken curry, the name first surprised me as well. Personally I haven't tried this before in madras but when I searched for a different chicken side dish recipe for idli and dosa, this madras chicken curry recipe came to my notice. 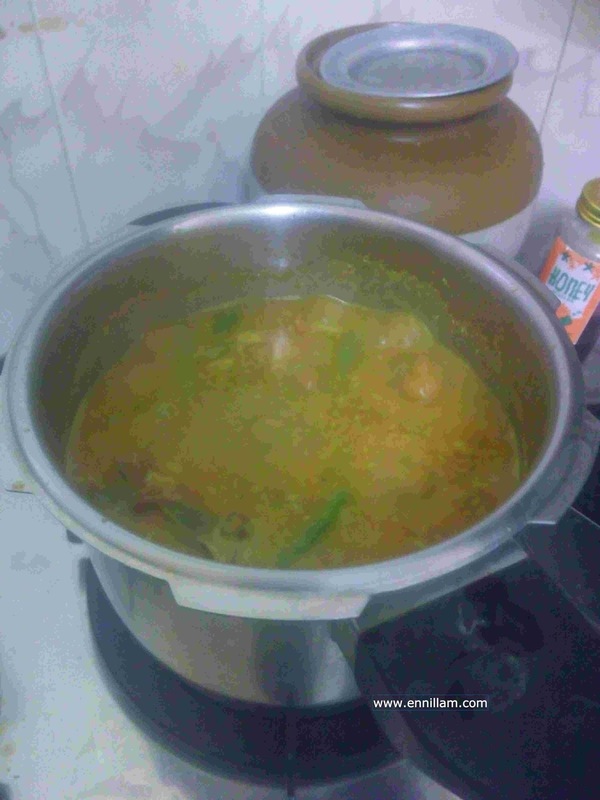 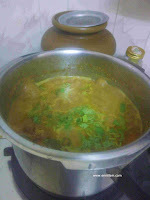 But I made few changes to the original recipe according to my taste. 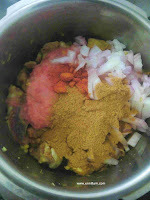 Like its name, the curry as well surprised me as the taste was exclusive. 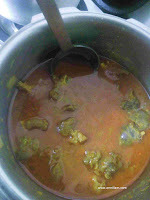 The recipe is very simple as most of the process is done in the pressure cooker. 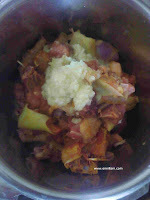 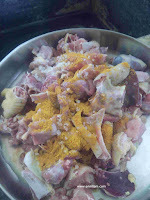 So tagging this recipe as a quick and easy cooking recipe :) . 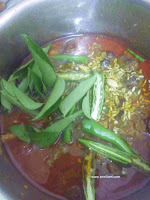 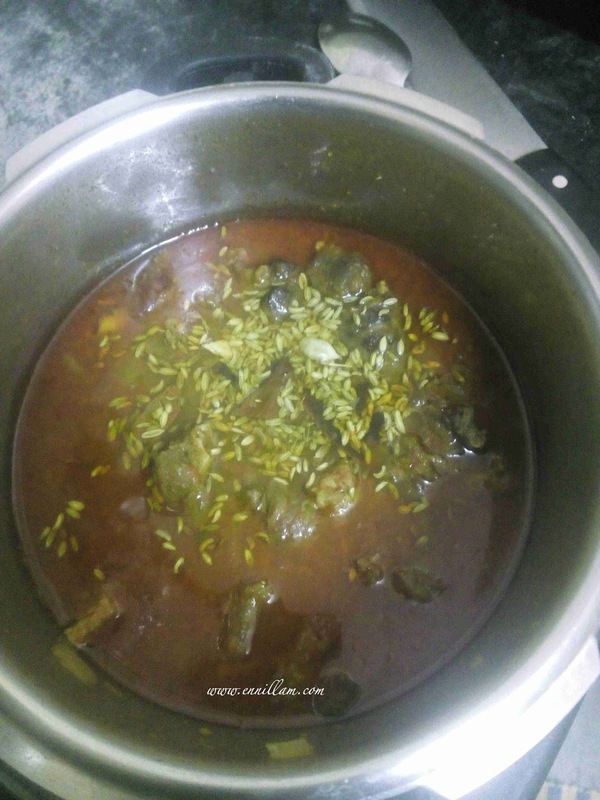 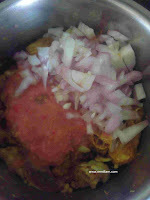 In this recipe, we have to add curry leaves and green chili to the final stage. Though I had a hesitation to add it as such without frying in oil, the flavor of fresh curry leaves and green chili enhanced the taste of the curry. You can feel the flavor and aroma in every single bite :) . 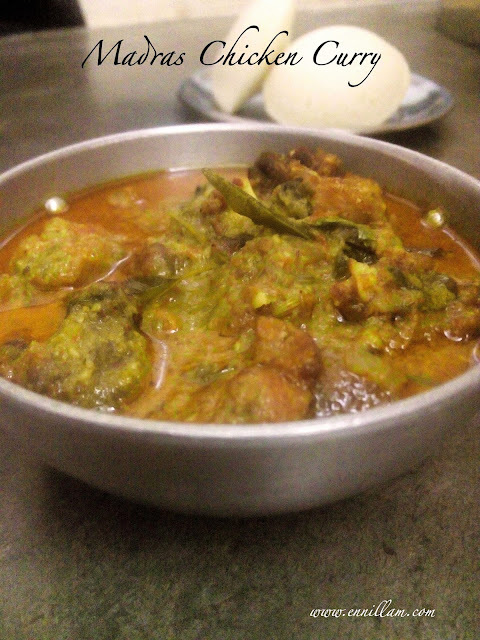 I served this chicken curry as side dish for idli and dosa and it was awesome. pressure cook for 4 whistles. let the pressure release. 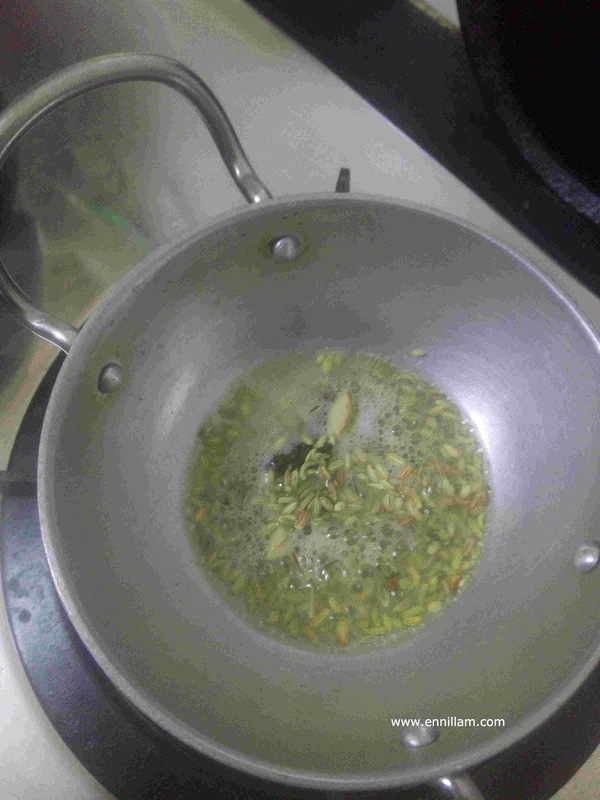 heat 2 tsp of oil, add cinnamon sticks, cardamom, cloves and fennel seeds. once it splutters, add it to the cooked chicken. 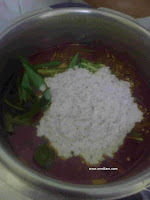 serve as side dish for idli and dosa.